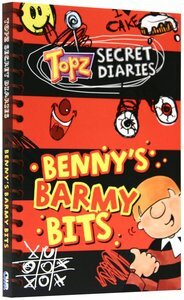 About "Benny's Barmy Bits (Topz Secret Diaries Series)"
Alexa Tewkesbury is a children's writer whose books include It's A Boy! , The Christmas Star's Big Shine, The Topz Secret Diaries, What's Christmas, The Perfect Christmas Present and The Camel Who Found Christmas. Alexa lives in South Devon with her two children and assorted animals. Order now to secure your copy when our stock arrives. 0 Available. Expected to ship in 8 to 10 weeks from Australia.